I am represented by and I’m a curator for Booklyn, Inc. and have created significant bodies of work in: artists’ books, collage, poetry, photography, video, and performance art. My enigmatic unique artists’ books and my provocative collaborations with major artists’ book makers such as Veronika Schaepers, Xu Bing, Stephen Dupont, Cuba, Fred Rinne, Dana Smith, Felice Tebbe, and the Organik art group are collected and exhibited internationally by over one hundred institutions and collectors. There are substantial collections of my books and archives at: Library of Congress, New York Public Library, Stanford University, Boston Athenaeum, University of Minnesota, Herzog August Library, Klingspor Museum, San Francisco Museum of Modern Art, St. Olafs College, Florida Atlantic University, State Library of Queensland, Smith College and the German National Library. As a writer and editor I have co-published some major critical texts regarding artists’ books in the 21st Century including the “Diamond Leaves” exhibition catalog (Guangxi Normal University Press, 2013) and “Freedom of the Presses” (Booklyn, 2018), a textbook which contextualizes and prioritizes artists’ books as a social practice. I was an Interdisciplinary Arts Fellow of both the New York Foundation for the Arts and the McKnight Foundation and I have received grants from the National Endowment for the Arts, Art Matters and others. I am the consumate wandering Jew, and in that capacity I have lectured, lead numerous workshops and staff trainings, and have consulted on collection and curriculum development for hundreds of art organizations, libraries, museums, and universities internationally. I am proud of and well known for my advocacy for activist artists who work outside of the mainstream art world, for my support of diversity and equity in academia and the artists’ book world, and my pioneering educational and fundraising publishing projects with social justice organizations including: CultureStrike, the Gonzalo Grillo Bus project, Interference Archive, Iraq Veterans Against the War (now called About Face: Veterans Against the War), Justseeds, La Escuela de Cultura Popular Revolucionaria Mártires del 68, Sublevarte Collectivo, Librarians and Archivists with Palestine, and the Occuprint project of Occupy Wall Street. I am thrilled to now be co-curating two new major box set archive projects with: Voces de la Frontera and their artbuild affinity group, Voces del las Artistas; and with Nicolas Lampert, activist artist, Justseeds Print Collective member and editor of “A People's Art History of the United States”. I also co-manage, with Booklyn archivist zinester Richard Lee, Booklyn’s Alternative Archives Resue Program, which assists artists and organizations in organizing and placing their archives in educational institutions. The program recently placed the archives of radical San Francisco Chicano curator René Yañez at the University of California, Berkeley, and the archives of V. Vale’s punk publications “Search and Destroy” and “RE:Search” at the University of California, Los Angeles. 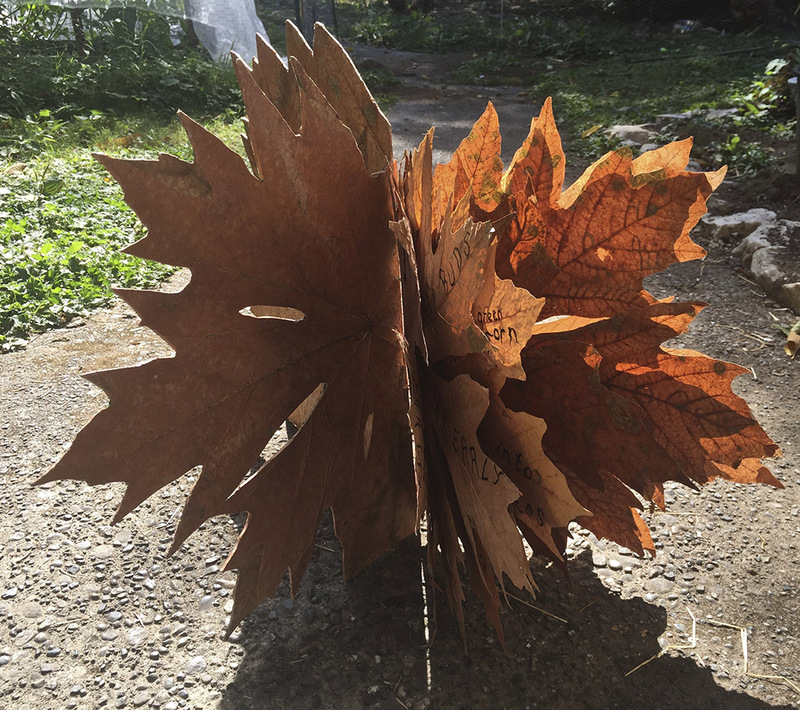 “Maple”, 2017, unique codex, ink, cured maple leaves, 12.0 in W x 18.0 in H x 0.5 in D, collection of the La Jolla Athenaeum, a poem to catalyze comprehension of the sentience of trees and the shifting perceptions of time in grand scales. “On Evaluating Black Privilege”, 2016, with Cuba, Crystal Valentine, unique accordion fold, collage, etching, ink, mono-print, paint marker, rubbing, screen print, 15.0 in W x 21.0 in H x 1.0 in D, (a 25 foot long accordion fold), collection of the University of Colorado, Boulder. Crystal’s provocative poem about white supremacy and African American resilience is illuminated by S.F. graffiti godfather Cuba with prints by weber forming a background palimpsest. “If I Can’t Dance It’s Not My Revolution”, 2017, unique codex with multiple variant gatefolds,binding by Sara Parkel, collage, etching, ink, mono-print, paint marker, rubbing, 15.0 in W x 20.0 in H, collection of Skidmore College. Issues of gender and racial justice and inequity are passionately evoked by a stories of progressive victories in the November 17, 2017 elections. “Wounded Knees” 2017, unique codex, with Tim Page, Ian Couzzens, Isabelle Weber, binding by Sara Parkel, collage, etching, ink, ink jet, mono-print, paint marker, rubbing, screen print, 13.0 in W x 18.0 in H x 0.8 in D, collection of the Library of Congress. A poetry/visual concrete exploring the global intersectionality of indigenous peoples’ struggles to resist current colonization efforts and to recover the trans-generational trauma of past oppression. 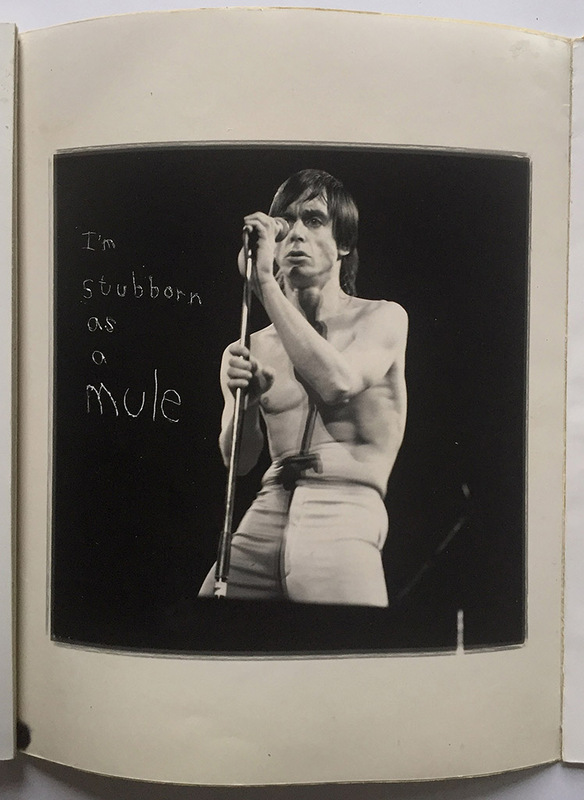 Raimie Weber’s previously unpublished photos of Iggy Pop during a 1979 performance at the Michigan Theater in Ann Arbor Michigan are punkt with the lyrics of his song “New Values”. A rumination on the unraveling of the patriarchal and static concept of binary male/female gender. “Prisoners of War”, 2016, unique accordion fold, with Stephen Dupont, photography, rubbing, ink,12.0 in W x 12.1 in H, collection of the Boston Athenaeum. 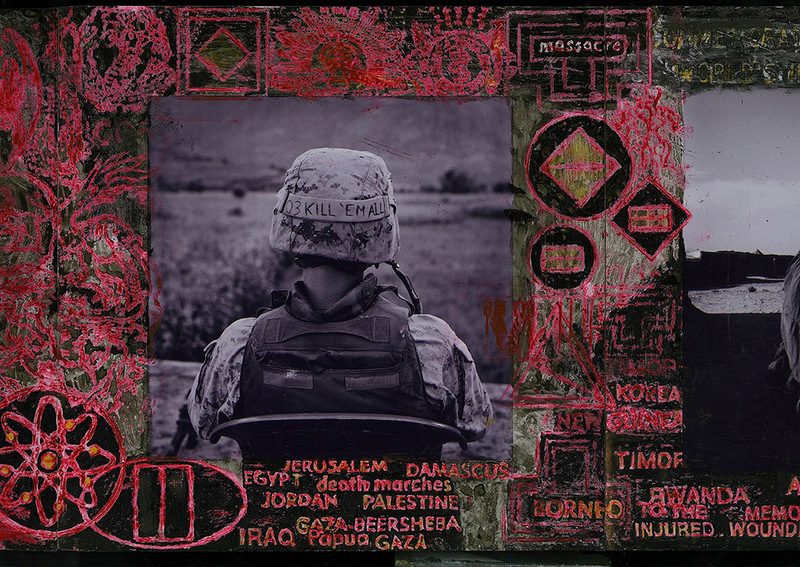 Over the course of a year Weber carried Dupont’s photo’s of the war in Afghanistan around the world and framed the images with collaged rubbings from military monuments and historical markers.